That is how I used to describe the area south of Cañon City when I lived there. 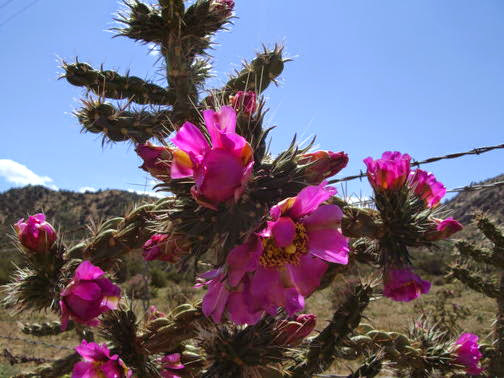 At least in this drought year the cholla cactus is blooming profusely, everywhere. They look like rose bushes. Very unfriendly rose bushes.